Airheads Bars Chewy Fruit Candy – Easter Basket Stuffers – 60 Count – Just $5.59! Do you still need to buy some Easter basket candy? I do! My kids are all a bit bigger now and love things like these Airheads. How about your kids? If so, here’s a great deal! I’m getting one! 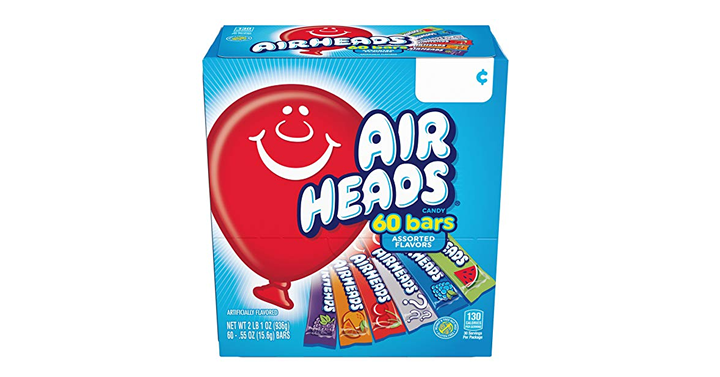 Get on over to Amazon to find the Airheads Bars Chewy Fruit Candy – Easter Basket Stuffers – 60 Count for just $5.59!